New Delhi: In its Lok Sabha election manifesto released on Tuesday afternoon, the Congress promised “to double the allocation for education to 6 per cent of the GDP in five years” if voted to power. The manifesto, titled ‘Jan ki Aawaaz’, says the party will lay down the path for the same in the regular budget for 2019-20, to be presented after the formation the 17th Lok Sabha. While the promise made by the Congress could prove to be a major boost for the education sector in the country if implemented in letter and spirit, growth of public expenditure on education over the last couple of years shows that it would be an uphill task for any government that comes to power. According to the ‘Economic Survey of India 2017-18’, the total expenditure by the government, in both Centre and State, accounted for a mere 2.7 per cent of the GDP. 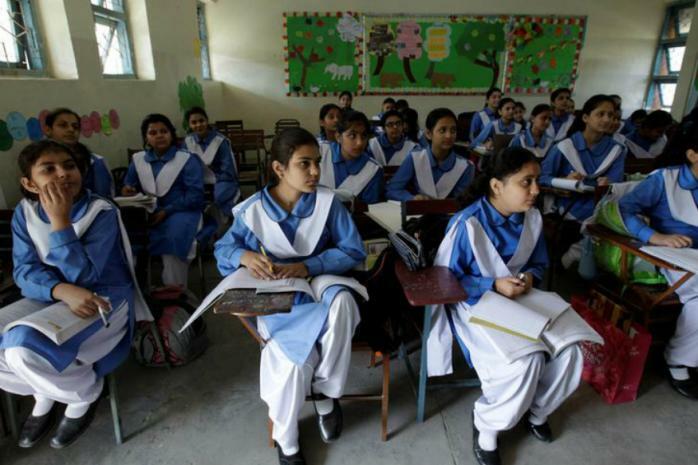 Under the current dispensation, education expenditure dropped to 2.8 per cent of the GDP in 2014-15 after a high of 3.1 per cent over the course of four years from 2010-11 to 2013-14. Since then, public expenditure education has remained below the 3 per cent mark. Expenditure on education was 2.8 per cent of the GDP in 2014-15, 2.4 per cent in 2015-16, 2.6 per cent in 2016-17, and 2.7 per cent in 2017-18, under the Modi government, according to the survey. NITI Aayog in its report titled: ‘Strategy for New India @ 75′ report’ published in December last year had said that India should be spending 6 per cent of the GDP on education by the year 2022. As a share of the union budget, allocation (budget estimates) for the Ministry of Human Resource and Development has remained below 5 per cent of the total budget since the year 2011-12. Interestingly, although the allocation for education has expanded in monetary terms, it has consistently seen a decline as a share in the union budget since 2011-12. While the budget (estimates) for the HRD ministry accounted for 5.03 per cent of the total budget in 2011-12, it fell 4.77 per cent in 2013-14, after which the Congress-led UPA was thrown out of power. In 2014-15, the allocation for education came down to 4.61 per cent of the Union Budget, after which it further fell below 4 per cent to 3.88 per cent in 2015-16. In the following years, HRD budget shrank to 3.65 per cent, 3.71 per cent, and 3.48 per cent in 2016-17, 2017-18, and 2018-19 budget estimates. In the latest budget present by Union minister Piyush Goyal on February 1 this year, the HRD budget was 3.37 per cent of the total budget estimates of Rs 27,84,199.55 crore.